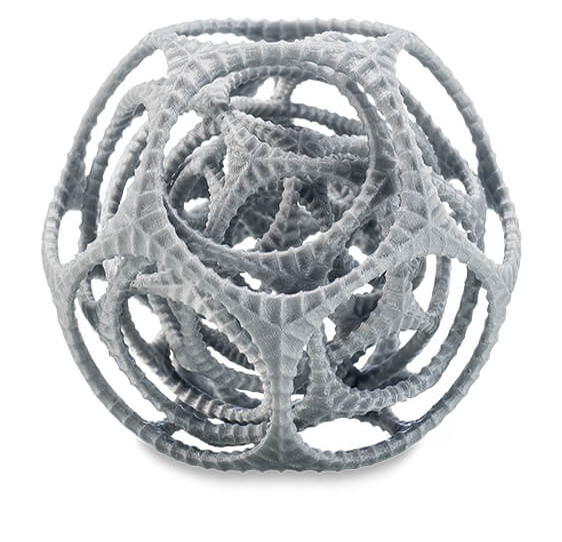 Create sophisticated models and intricate geometries like this Gyro by Virtox – and remove supports by resting the print in water, without leaving a trace. 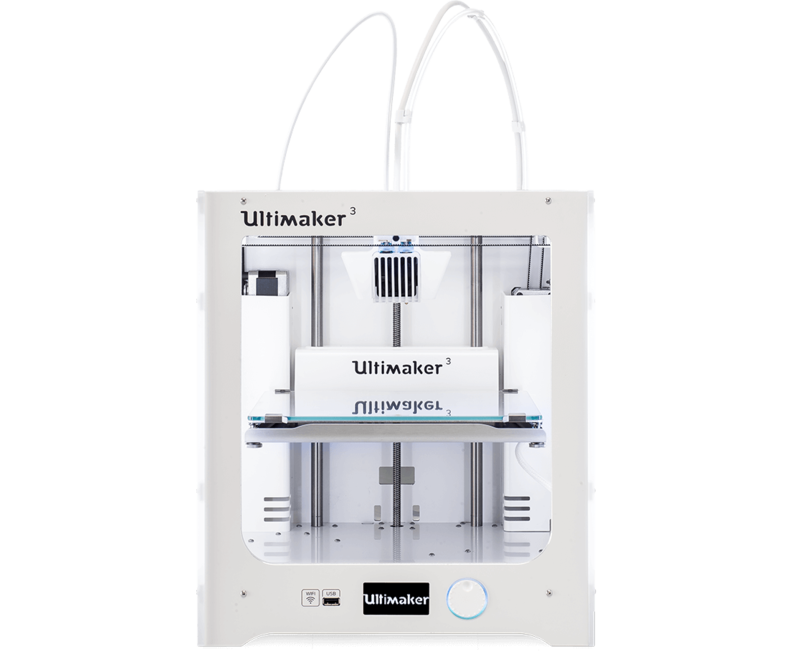 It’s the most reliable dual extrusion printer on the market. Water soluble support structures help you build intricate structures, complex mechanical parts and smooth surfaces. 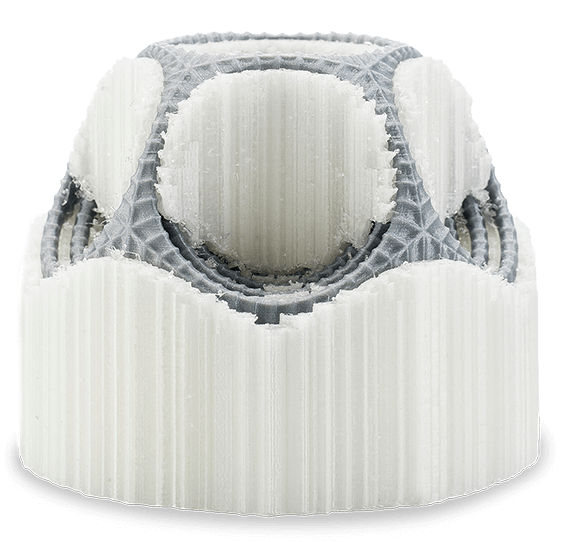 Together with optimized Cura profiles, advanced material recognition system, and material-matching swappable print cores, Ultimaker 3 Extended is engineered for high uptime and reliable, industrial-grade results. And its full potential is yet to be unleashed. 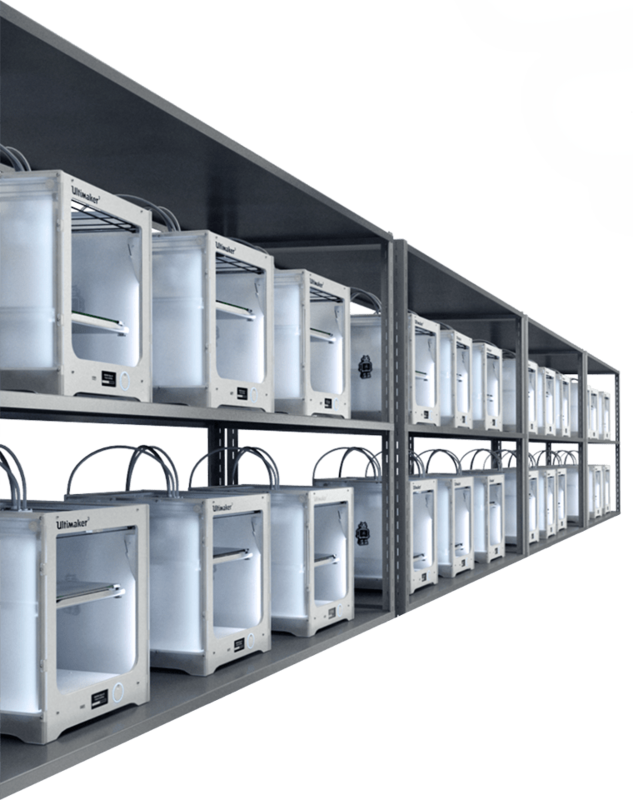 To reduce time to market of the Ultimaker 3 Extended & 3 Extended, Ultimaker set up a print farm of around 20 Ultimaker 3 Extended machines to 3D print the improved reel holders with a new, improved design. 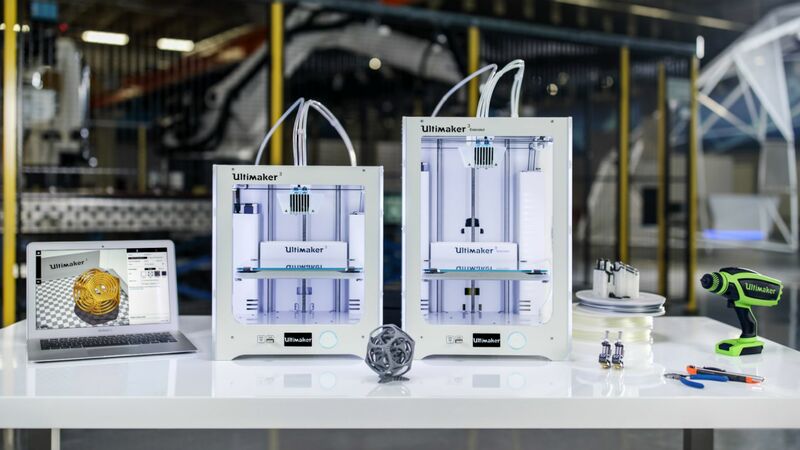 Used as an additive manufacturing system, the first Ultimaker 3 Extended printers proved to be production-ready, reliable, and able to deliver results. 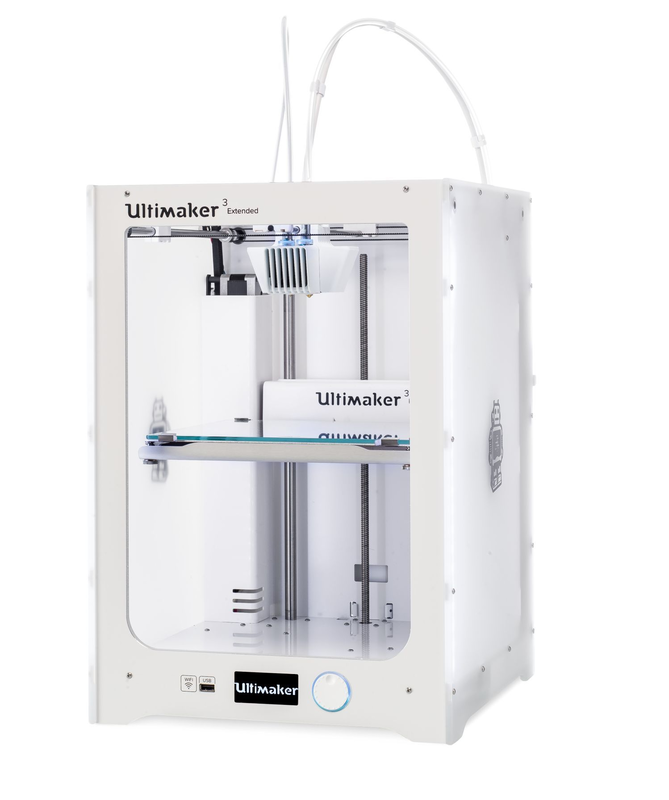 This is one example of Ultimaker 3 Extended's reliability.